Peter Michel recorded Hibou's 2015 self-titled debut in a walk-in closet. These humble beginnings led to great things: His shoegaze-frosted dream-pop drew raves reviews and led to opening slots for Metric, Phantogram, and Unknown Mortal Orchestra. 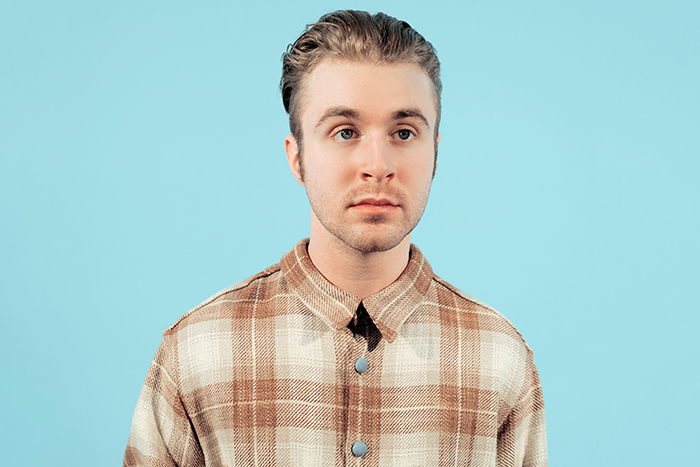 The Seattle-based musician has come a long way since that time—in fact, his second album as Hibou, Something Familiar, reflects several years marked by profound change. More specifically, Something Familiar addresses Michel's ongoing battle with anxiety and depersonalization — the latter a disorder distinguished by feeling disengaged from the mind and body, as if someone is an outsider looking in at their own self. As a result, the new album has a decidedly darker tone. The lyrics are more personal and direct, and focus on finding emotional equilibrium despite long odds. "Anxiety is an incredibly strange thing, and everyone has different forms of it," Michel says. "I think that songwriting was a really necessary way for me to try to express that, because people would always ask about it: What does it feel like? Describe it. I'd never be able to put it into words. It was such a relief when I began to experiment and communicate the effects of my anxiety with textures and poetry, rather than conversations." But for all the changes and progress evident on Something Familiar, Michel is careful to note that the core essence of what makes Hibou special hasn't changed. "It was strange to start consciously writing from a different stylistic standpoint, but I didn't want to totally turn the page," Michel says. "There is still a fundamental Hibou sound in there. It just is drenched in a little more honesty."